Suddenly I froze, went blank, forgot the next line. And the hall erupted in laughter. After what felt like an eternity, a teacher handed me a book and I finished reciting the poem. The first step toward claiming our power and our life is to remind ourselves that we’re not ten years old anymore. I shared this post in a recent newsletter and ended it with this parting thought: let’s make 2017 a year of allowing ourselves to be exactly, but exactly who we are! Now when I look at what I wrote I can’t help but add: creating a space in which we truly allow ourselves to be who we are, is perhaps the most ambitious an aim for a group of people who come together seeking to co-create a supportive community. I think we can do it. It’s what I will keep going for. Because to me, that’s what makes life worth living. Being in relationship with people who can encourage you to keep shedding the masks and move closer and closer to who you are. Any ten year olds with an “opinion” messing with you lately? Here is the 7 step self care for these political times that I had mentioned. I have been working with a discouraged orphan, particularly related to my sister passing. She was like a second mom to me. We did not live in the same state but when her illness worsened I began calling her once a week. I am so grateful I did. My daughter is also off on a very challenging path and there’s nothing we can really do except pray for her. I have tried to identify and parent my orphans and have found the tools I have learned through Fertile Heart to be a tremendous source of strength. I now mostly feel OK moving forward. I allow myself to grieve when it comes – I allow myself to laugh and take care of myself, too. I have been doing Speak Your Peace Fertile Heart body truth and Mosaic of Revelation Fertile Heart imagery. DragonflyLove, I am so sorry for the loss of your brother. How wonderful you are awakening. Wonderful to hear from you and yay for remembering your warrior self on the call, Heather and peacefulwarrior, good luck with the job situation – hopefully you will find something just right soon. Firefly wonderful visionary actions and congratulations on your new job! Fearless Murrelet, good luck with people telling you amazing things. My husband and I shared amazing things about each other and it was awesome and Lunden wonderful for drawing about your imagery.Lucy, good point about sexism and Trina, yay for developing your own compass. gutsymama I’m so sorry you had to go through so much – wonderful for being able to mother that orphan. butterfly faith, can you play now? Bel, it’s amazing that by definition we are all imperfect yet so many of us expect ourselves to be perfect and Sulli612, yay for being you! Thank you so much for sharing Kim. The topic of beginnings and endings have been big in our house and there for I relate to your story. My husband and I started our efforts to conceive which led to our dx with infertility around the same time my mother in law was dx with metastic breast cancer. Telling her we were pregnant in August was amazing. Telling her we lost the baby in September was awful. She died four months later, this December. Our grief felt intense knowing she would never meet our children. But right after the miscarriage we moved a family seeking asylum from Sierra Leon into our home, a mother father and 3 year old. I was kind of cranky about the idea of having someone else’s kid around so much and knowing that I would have to pitch in (that is just what it means to live with a 3 year old). I wanted my own child. But it has been a gift having the love in the house. I think about the little three year old in our house as my husband and I sit with our various griefs (fertility, miscarriage, his mother) and I see you in your grief opening your heart up to love, there is something about staying open to love I think that keeps me tender. I haven’t read the whole thing yet but I bought a book titled Birth, Breath and Death -mediations on motherhood, chaplaincy and life as a Doula By Amy Wright Glenn. It spoke to me in our journey and holding this space for life’s ooensings and closings. All the best and good you for finding ways to take care of yourself. Thank you so much for sharing Lunden and the recommendation on the book. I will definitely purchase it and read it. All the best to you! Just wanted to thank all of you on the North American Visionary Mama’s call last Monday. I appreciate the time and space to process and share where I have been of late. Julia, I was blown away with the details you had recalled from when I first began this journey so many years ago. I can’t believe how far I had come on this path yet still struggle with those same orphans ( panic and desperation). I could hear it in my responses and felt a mixture of embarrassment and relief at the same time. You are right Julia- I am not that Heather, my desperation is not who I am but an expression of feeling. I took several days to sort through my feelings and check in myself. I also needed to really think about what is it I want ( besides another baby). I think what I really want to feel is at peace and calm. I do not want to think about my fertility all day everyday and yet I do, so I have an area of work to do with my orphans. Thank you Julia and my fellow FH mamas. I’m grateful that I have this space to share and give voice to my orphans. My ten year old orphan feels so ashamed and put down. I remember vividly being chosen last for teams during gym class. My ten year old self felt I wasn’t athletic or popular enough. Here I am many years later and I still feel that I’m not enough. Part of me feels very excited to possibly start out on my own and work for myself. I made the call to a potential client who reached out to me and have not heard back. I know there is still possibility but after speaking to my husband, he’s not as supportive as he originally was due to his belief that it wouldn’t be a steady income. I currently have 2 jobs that are very demanding and exhausting which has really affected my health. I keep looking for other work but can’t find anything. Because I do my job well and I’m conscientious, I get more responsibility than others. I started to speak up for myself at a recent meeting mentioning that I have to help my parents who are not well. I can’t keep juggling the needs of my jobs, my family, my parents. It’s too much for me and I can’t give 100% of myself to any one of these. I know that financially my daughter’s health concerns cost much. When my husband was out of work, I supported us to the best of my ability. I remember at ten years old, I had to help my parents in ways that were way too much for a ten year old to handle. Now ironically with my dad’s illness and through the FH work, my parents and I are having a better relationship. I’m happy about that but realize that my current job is too much for me in many ways. I think I would love to have work where I was more in control and independent. I’m stuck because we need steady income but I haven’t found a balance yet. I’ll continue with the imagery and BT. Thanks for your support! Julia you are so right that the best stuff comes from engaging with other humans, we are all made of same stuff! I have been struggling for so long to open up, and something really changed in me recently, a lot to do with the teleconferences I am sure! I can’t believe that I built up courage to actually open up to three of my superiors at work, letting them know about what I am going through with my fertility and asking for a transfer to a less “life-consuming” but dream job that just became available in my company, and even more so I can’t believe how supportive they were, and that all three of them shared that they have had the same challenges and fought their own fertility fight in their time, each one of them in their own way. How amazing is that. I feel like my whole perception of my challenges has changed lately. I used to feel embaressed about my situation but know I feel proud of fighting for the right thing in the right way, and so hopeful. And guess what…I got the job today!!! I am sending positive thoughts and prayers for those two Mamas talking about a job search. My love to all and I am excited about the next call and connecting. Congratulations, how wonderful! and let’s keep engaging dear Firefly! Congratulations Firefly on the new job! Best wishes to you! I’m happy for you! Thanks for sharing the great news. Congratulations to you! Wishing you so much success, work-life balance, happiness and peace in your new job! Years ago, when I was going through a tough time, I held onto a quote that I read and wanted to share it with you “A journey of a thousand miles begins with one single step.” I thought of this when I read your post, you took that first step and good for you! You should be very proud! Whenever I find that I’m getting overwhelmed or I can’t do something, I remind myself of this quote and focus on that one single step I need to take at that moment. We are all such incredible and powerful beings if we simply believe in ourselves. Dear Lunden. So nice to hear you on the call tonight. I went for a protest too before our call this evening. It was so healing to witness the compassion and love all around on the streets. I came here to write something about the protest but seeing your comment instantly pacified me. For the time being at least. I have been literally glued to social media since yesterday following the updates on this. Also sending special love, hugs and more love to you R.
Thank you Lunden for sharing. I am struck by the truth in your comment ” …emotional difficulty….is rooted in internalized sexism and the idea of what it means to be a woman. ” Having had 4 miscarriages (plus 2 more chemical pregnancies) I relate with this strongly. It is very easy to let that critic sitting in our hearts and minds label such experiences as “failures” and failures that are uniquely female in nature. The impact on self esteem can be profound unless those voices are examined and the coinciding orphans are hugged. 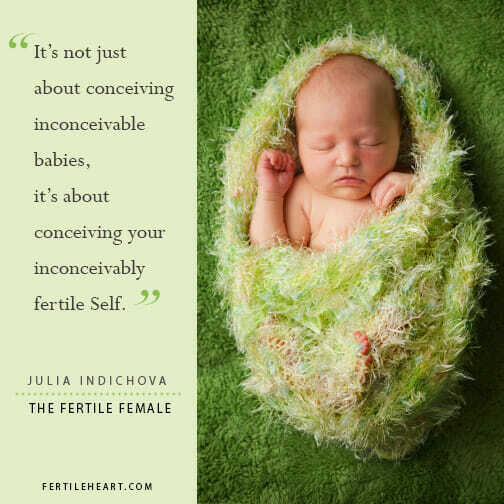 I am so grateful for Julia, the OVUM work, and brave people like you who are willing to share their journey and spark inspiration for others. Thank you all for being a light along the path of life. Thanks to your work, Julia, I’m learning that there is someone to take good care of this ten year old and her compadres – me! I realized reading this blog that I’m not as dependent on the opinions of ‘everyone’ as I have been. I’m developing my own compass, and while I’m not yet confident, I’m more confident. I’m taking steps to figure out what my body is communicating and becoming more discerning about the opinions that do come my way. Thanks for showing me how to ‘be’. And thanks for creating such a nurturing and striving community to be with. I have a confession. I have a young orphan but I think she is 13. She is the one I have had a struggle with most of my life. I have not spoken about it on the calls because I have been too scared. However I have been working with her alot the last couple of months once I fully stated to my great teacher – I see her. I hear her. And for once I am not going to try and shut her up. She stems from a really awful experience in which I was bullied when I was younger. IT was such a tramatic experience that I felt tremendous sadness and a horrible heavy heart feel within me. I did not feel like I could tell my parents. I spoke to a school counselor at the time. I still did not feel “heard” though. I felt like it was only snuffing the issue until I moved to hight school which would be the following year. It eventually did stop but as a result my self esteem took a hit and I probably gained 15 lbs in that summer. Then I vowed to take this experience to my grave. Because why share? Why bring this sh*t up again when it only brings pain? why not just hide it in food and wine and keeping my mouth shut? However it doesnt. It has done nothing for me to hide it. So my fellow fertile friends I put it out here for all to see. I do not feel to write the very specifics but I do want to acknowledge it was a great trauma to my younger self and she has had a hell of a time recovering from it since. When I read the beautiful story of the woman having twins at 43 naturally – I remember her voice on the calls. I remember her shairng the miscarriage and what that spark of light helped for her. I remember not being ready to say that out loud myself. However I have been pregnant twice before. Once naturally. Once through IUI. What I believe those sparks of life gave me was a chance for my tender broken heart to heal. So she wouldnt be scared to share her thoughts and without the fear of being judged and feeling like she needs to hide again. I also believe they were showing my body can become pregnant. I am now feeling better and safier and of course the fearful 13 year old is still there but now she is speaking more and more so the visionary actions are coming easier and easier. I have lost about 8lbs since the beginning of the year. I have let go of so many processed foods and upgraded my bathroom products that feel easier on my body. I feel at tune with my body and remember how much I love imagery and meditation and my body really craves it before I go to sleep. I am sleeping better and my relationship with my husband is just getting better. Who knew letting the orphan speak could bring such peace? Actually I always knew since discovering this work but really allowing the deep hurt part of myself speak have revived my soul in a way I did not thinik I could experience. thank you for listening! My loudest orphan is my 10-year-old Veruca Salt, screaming at the top of her lungs that THIS IS NOT FAIR. The adult in me understands life isn’t fair and just because bad crap happens, you don’t get extra dessert the next time around. I understand you can work very hard for something and never get it. But my dear Veruca doesn’t give a sh** about any of that rational thinking. She’s just super mad, stomping her feet and demanding that justice be served because SHE WANTS IT NOW. The entire world right now seems to be ruled by tantrum-throwing 10 year olds. When I was 10 myself, I was given way too much responsibility and saw way too much of the world. I used to “joke” I was born old. So I suppose it’s not a shock that now, as an adult, I am feeling very much ruled by the screaming tantrums of a child orphan who never got to live in the real world when it was her time to live. Reading this blog brought back a potent memory from my childhood: I can’t remember exactly how old I was – maybe 8 – but it was sports’ day at school (never my favourite day), and we had to do a race where we were in groups of 3, & each group was put in a plastic hoop and the 3 of us raced against the others. Thanks to me (I was not a sporty child) my group came last. And the 2 other girls made it very clear that it was my fault & how annoyed they were. To this day I get anxious about having to team up for things with others, fearful I will let the side down/show myself. It’s funny how much power these seemingly small happenings can hold over us! I must say I’m glad to be an adult, where I can now make smart choices as to who I hang out with, and would have the wisdom to now respond to a situation with similar dynamics in a different way. I’m glad I found this FH community! My inner 10 year old has been very judgemental and placed a lot of pressure on me. Thank you for this post. I’ve been working hard at stepping back and letting go of the burdens, the pressures and the control. This was a great reminder that just being is enough for today. Just be who I am and love, cherish and comfort me. It’s ok for me to just be me. Thank you Julia for this blog post. Today I have chosen a new name for myself. I have been looking for another name for a while and really liked this one. The first word came to me easily and resonated with me a lot. I will always need courage and remind myself to be without fear. To accept that it is okay to make mistakes and I will be okay no matter what. The second word in my name took much longer. Second word I chose for the bird Marbled Murrelet that I first read about in a book named the Eagle Tree. Beautiful story. The marbled murrelet is an endangered species so the name appeals to me in that way. Also the region in which it is found is close to my heart. How fitting that I chose the ‘Inside Job’ to warm up to get back to Fertile Heart practice. I am meeting some of my own voices (not able to see the orphans behind them as yet but it’s a start). Also the special homework that you gave me is turning out to be a challenge so that is also guiding. I have only asked one friend so far and am yet to hear back from her. And I know I could have simplified how I received feedback from her for both of us. Again guidance there. I hope to reach out to more than two people while I am at it and reconnect with some people I would really like to keep in touch but have not been in touch with for years. Only need the courage and the visionary actions. Working on it. And i know you will understand when I say it is probably going to be the hardest to ask my partner but I want to do that too. Thank you again, Julia. You are so thoughtful and creative. Thank you for this community and thanks to all of you FH friends who make this place so special. It is my wish to keep connected here over the years. I enjoyed reading the story you shared on Facebook about the twins conceived old-fashioned way. Look forward to connecting soon. I have had some orphan rooted 10 year old opinions playing a little rough recently. A friend mentioned I should go straight into seeing an RE/ starting IVF in 3 months if I have not conceived or at least call an Ob-gyn to get ” some things in order”. I thought ” what things ?”. All I could think was seeing a Ob-gyn will be pointless, they will tsk tsk, tell me I am too old… etc. It started a flat spin and the panic orphan started wringing her hands like in years past. I had to stop, breathe, and surrender to the moment and just be still. Julia, this is a very special community and hopefully someday there will be many more like communities where people can gather to discover who they are in a nurturing environment. Mariamom, thank you so much for joining in here. That makes so much sense about not being able to find this community elsewhere. gutsymama yay for working with the 10 year olds. I have been working with Rock the Baby body truth and Council of Babies Fertile Heart imagery (Imagery II) I’ve been really focusing on letting my body be whatever it is during body truth and trying to listen. This is definitely a time for many orphans for me during my job search. I appreciated the call which worked with how it can be scary to change and yet exhilarating at the same time. That is truly what it is for me. It was helpful to me to understand that even though the orphans might be scared, it doesn’t mean change is the wrong thing to do. So forward I go. My task at the moment is to be receptive to the guidance coming to me, listen to and comfort but not be overtaken by the orphans and elbow forward. All this uncertainty – how to be at peace with it whether it is fertility or job. 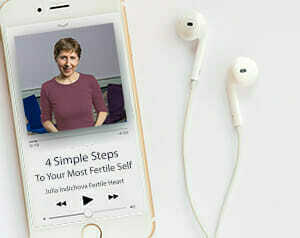 I believe the Fertile Heart tools really help. It is still a work in progress. I had a similar childhood memory. I was reciting a line to get a part in our christmas play in the 4th grade and I was very confident until I got up there and went completely blank. In front of everyone! It was humiliatling!! I am ever grateful that I remember that past hurts can come up for healing but only if I allow the light to come to them by voicing them, seeing them in imagery and working it out in body truth. I am glad you shared some of the insights from past women who used these tools. I went back and started listening to the introduction of body truth and now imagery to be reminded of why I am doing it.